Welcome to Little Paws of Iowa! Video of Sage's litter is now online. We have 2 female mini f1 bernedoodles ready for homes! 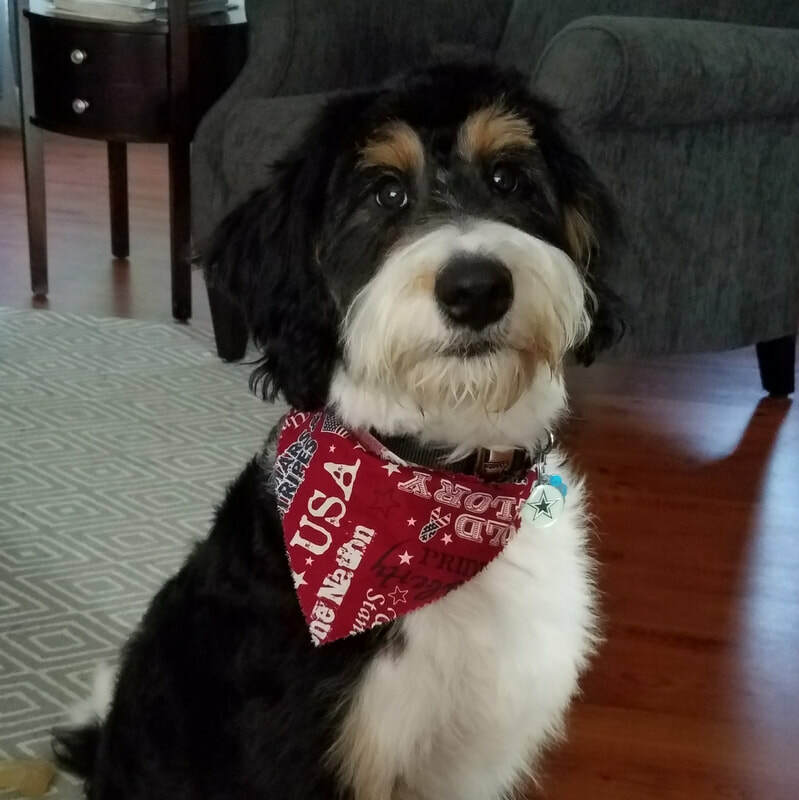 or bernedoodle from Little Paws of Iowa! Check our puppy page to see which puppies are available. Follow #littlepawsofiowa on Instagram for awesome pics and video of Little Paws doodles. information on current and future litters. We believe it's our responsibility to establish the best possible start with our puppies, and enjoy being a part of their world. 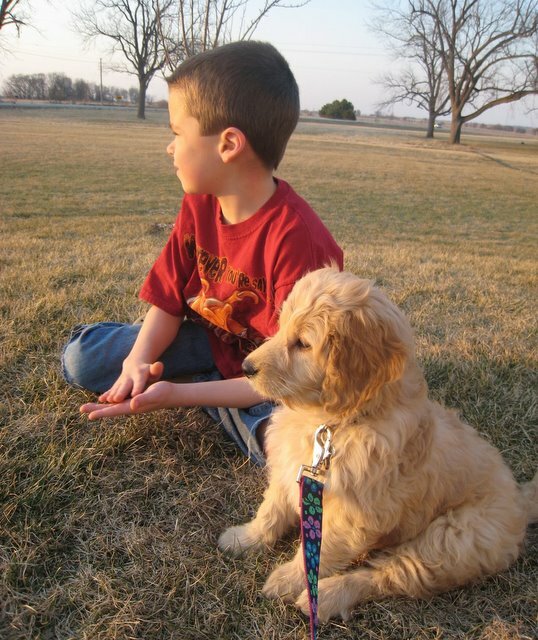 We've been raising puppies since 2001 and our family enjoys giving each puppy the individualized attention that they love. Our F1 mini goldendoodles will weigh approximately 25-35 lbs when grown. They are 50% golden retriever and 50% miniature poodle. Our mini F1b mini goldendoodles will weigh approximately 18-25 lbs when grown. These puppies are 25% golden retriever and 75% miniature poodle. Our F2b mini goldendoodles are 37.5% golden retriever and 62.5% miniature poodle. Their size will typically range from 25-35 lbs. Our first litter of F1 mini bernedoodles arrived in the spring of 2016. They are 50% Bernese Mountain Dog and 50% miniature poodle. They will weigh approximately 40-55 lbs when grown. Our puppies make wonderful, loyal companions and are easily trained. We also give a 1 year health guarantee. All puppies have their dew claws removed, are current on vaccinations, are vet checked, and are microchipped before delivery. Our family loves them and yours will too! 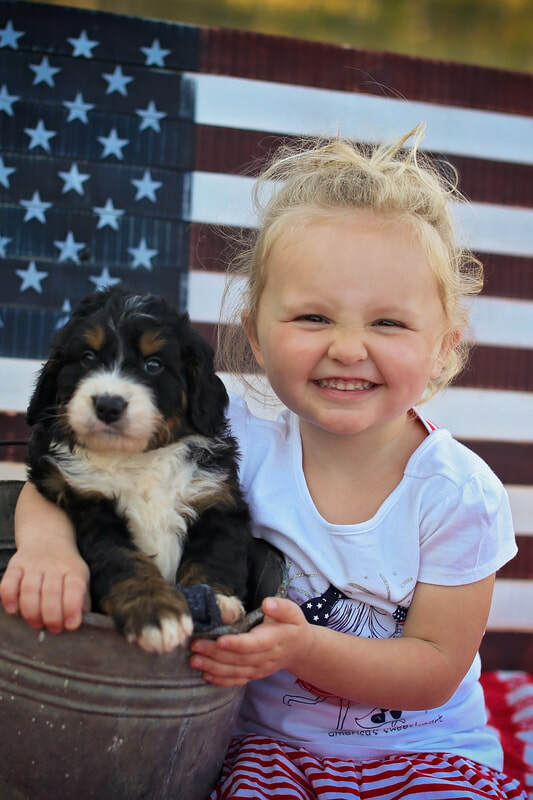 For more information about Little Paws of Iowa Mini Goldendoodles or Mini Bernedoodles see our About Mini Goldendoodles page or our About Mini Bernedoodles page. Little Paws of Iowa is now on Facebook and Twitter! Some things we plan to use our Facebook and Twitter pages for are: New puppy birth announcements, Notify you when we have new photos or videos available, Other interesting puppy-related news. Our Facebook page will give the adopting families a forum for sharing interesting photos and stories of their new puppy. We live in northwest Iowa, about halfway between Sioux City, IA & Sioux Falls, SD and about 4 hours SW of Minneapolis, MN. We set aside Sunday for God and family, and our business is closed on this day. We will respond to phone calls and e-mails as soon as possible Monday morning. Thanks. We appreciate giving individual attention to our puppies and have established business partners so we can keep our focus on giving the best care possible.